At the annual Southwest Montana Ranch Broker's Landscape Valuation Report luncheon a panel of appraisers presented market insights related to land transactions and ranch values in 2017. Throughout Montana, markets generally seem to be stable or increasing. According to Andy Rahn of Montana Land Source, there were 172 ranch sales in Montana in 2017. As of early January 2018, 615 properties were considered currently listed for sale, 3.5x the number of properties that closed in 2017. The properties on the market total 1,296,000 acres for sale, approximately 2.75 times the number of acres sold in the prior year. Statewide, the median price per acre of land sold in 2017 (just land with improvement values removed) was just around $1,000 per acre. The comparative median price of property on the market as of early January 2018 was over 2x the 2017 at $2,111 per acre. Roald Aageson, an appraiser with Northwest Farm Credit Service, spoke to the stable market of North Central Montana. Much of this area is dry crop land. The values and rents of land were presented by land type. The dryland values represent an increase from 2016. Conversely, the rent figures represent a decrease. Like the rent figures, wheat commodity prices continue to decline. The inverse relationship between dry crop land values and wheat prices has persisted over the last four to five years. 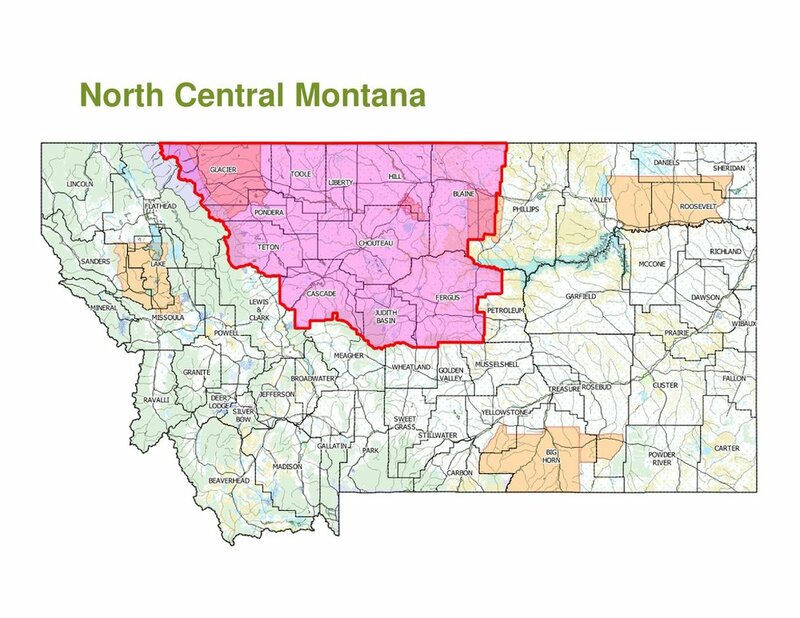 Appraiser Clark Wheeler presented from his 2017 Western Montana Land Study. His data revealed a strong market with increasing values. The 2017 figure of $1,801 per acre is comprised of agricultural land as well as recreational property. Bifurcated the two represent a wide range with agricultural values per acre of $1,106 and recreational values of $2,995 per acre, 2.7 times that of agricultural land. For 2017 sales on properties larger than 5000 acres where the price per acre exceed $1,000 per, the average price per acre was $2,035.